Some ladies have all the luck drive. Pulitzer Prize-winning photojournalist, filmmaker, and co-founder of Think Tank Bags, Deanne Fitzmaurice, is known for pushing the boundaries of what is typically expected of photojournalists. One of her latest projects, ‘Women Can Build‘, demonstrates the impact and stories that she can convey in a single image. It’s goal is to help challenge stereotypes and highlight role models for millions of women across the country. For International Women’s Day we join Deanne in sharing the stories of the extraordinary women who are building our 21st century transportation infrastructure in industries traditionally dominated by men. Lilla Wallace is a cleaning specialist at a railcar refurbishment facility in Los Angeles, CA. “I work inside the garage, the Service and Inspection area called S&I. We do two cars a day — the whole thing! It’s detailing, elbow grease, hard cleaning, hard work, not soft cleaning.” Lilla sees herself as one day being a mechanic, drawn to the physicality of the work. “You can work hard and still retain your femininity.” Read more of her story here. Ruby Diaz a quality control technician at the Kinkisharyo railcar factory in Palmdale, CA., recently promoted after establishing herself as an electrical worker. 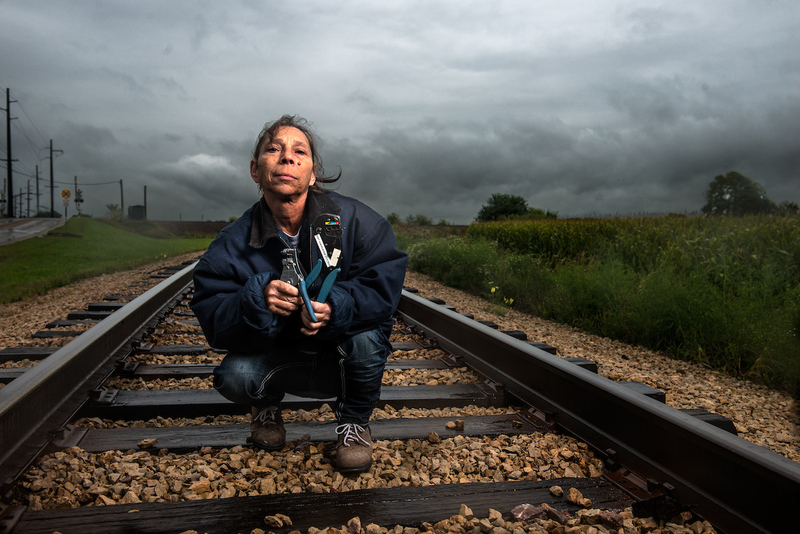 She worked with thick, heavy copper wires, oftentimes having to withstand vibrations from the moving trains. “I was a little intimidated with so many male coworkers,” Ruby says. “But I thought, why not take the challenge. It’s hard for women, they feel they don’t have enough strength, or power, or dedication. It is a tough and heavy job. But women can work just as hard as anybody. Women shouldn’t be intimidated.” Read more of her story here. As a photojournalist, how much do we engage with our subject? Join Deann Fitzmaurice for her free online discussion answering the question: Can We Be Objective Observers?